Dreams do come true! Welcome to this magnificent detached Plan 20 Cottage in the prestigious/ guard-gated community of Promenade. Upon entering, you are greeted by custom tile floors. The light, bright & open floor plan offers a kitchen w/ center island, tile counters, dual ovens, built-in microwave, pantry & plenty of cabinet space. Cozy family room w/fireplace, media niche & more! Separate living room w/ dramatic high ceilings. Travel upstairs to find 4 large bedrooms, including an impressive master suite. The master suite proudly offers a romantic tub, huge walk-in closet, dual sinks & so much more! Convenient laundry room located upstairs, as well. Fresh paint & carpet only add to the appeal of this gorgeous home. Outside is your own private yard, complete w/ professionally designed hardscape, generous grassy area & lush landscaping. Attractive HOA dues.The community of Promenade boasts a sparkling & inviting pool/spa w/ BBQ area. Don't forget about the award-winning K-8 Porter Ranch Community school (per LAUSD School Finder website). How about the new upscale Vineyards shopping center which is due to open in a few months w/movie theater, shops & restaurants as an added bonus? 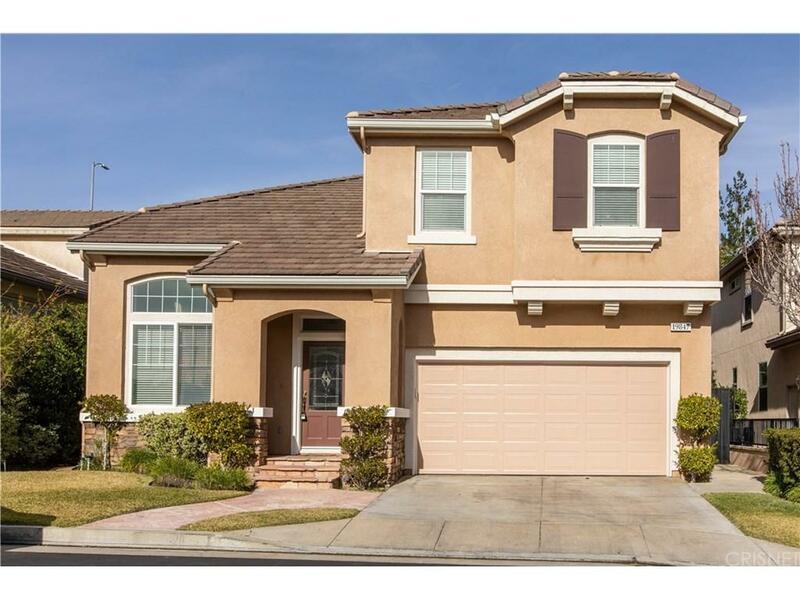 The best of Porter Ranch living is right here!